Life is ultimately improbable. We like to think that it moves along rails as consistently as a Japanese bullet train, but the fact is it doesn’t. Just because the client didn’t buy your idea yesterday, doesn’t mean they won’t today. Just because you couldn’t solve a business problem last week, doesn’t mean you won’t next. And just because you’re an orphaned outcast living on a tiny island in the Caribbean in the 17th century doesn’t mean you won’t lay the financial foundations for a nation that will drive the world’s economic engine for the subsequent two centuries. 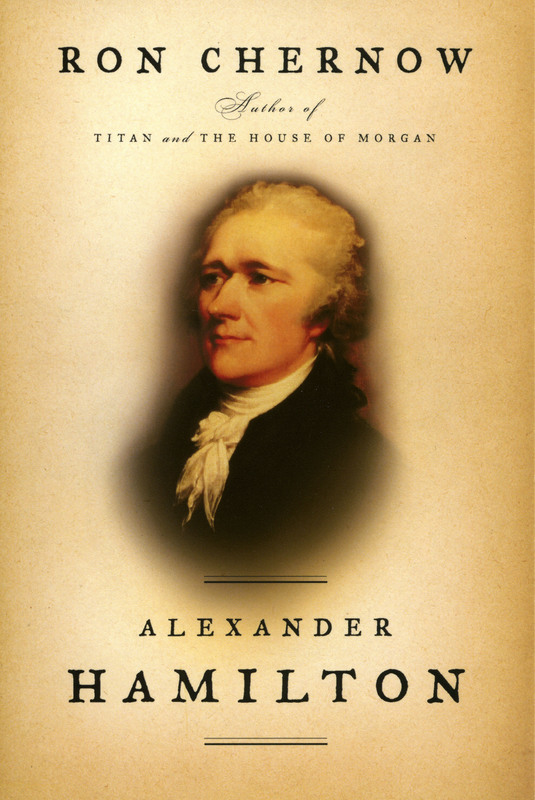 Ron Chernow’s monumental biography of Alexander Hamilton is a must-read regardless of your political affiliation. Whether you think that Hamilton’s theory of a strong central government, modeled on the most successful nation-state of his time and supercharged by the natural resources and geographical boundaries of a largely unexplored continent was visionary and brilliant, or whether you think it was the ambitious megalomania of an outsider who wanted to become this nation’s Napoleon which sowed the seeds for all the ills that ail us today – understanding Hamilton is, in many ways, fundamental to understanding the world we live in today. Now, of course, anyone who writes a biography of someone is, I believe by definition, something of an acolyte. You don’t willingly dedicated years of your life to something you hate, and there’s the added incentive that the more essential you tell people your subject is, the more essential it becomes, and the more valuable an expert you become as well. That said, Chernow is surprisingly even-handed, with both Hamilton and his many high-profile detractors. Thus what emerges is a portrait of the whole man, a man of unbelievable drive and energy and ambition. A man with, at times, a strangely prescient vision of the future balanced by equally mesmerizing and inexplicable blind spots. You know, like us. Except his life was played out on an international stage and enshrined for eternity in history books. And why is any of this important to you? First, because Hamilton was living proof of the life-altering value of social networking. You don’t get off a tiny rock in the Caribbean, attend an Ivy League school, become George Washington’s most-trusted advisor, and finally America’s first Secretary of the Treasury without learning from an early age how to make friends and connections – and how to use them. Second is the understanding – or at least perspective – Chernow’s book gives of the foundations of our economic system. Now, I’m not going to argue that what we have today is what Hamilton devised, or that Hamilton could have foreseen it. But providing a frame of reference for the world that Hamilton was working in, and the problems he was trying to solve with the institutions he was creating, does provide perspective on our problems. Not answers, but perspective. Third, if you’ve ever faced your own lonely night of the herculean task, you absolutely have to appreciate Hamilton’s accomplishment. The fact that while aide de camp to Washington at Valley Forge, Hamilton sat down and tried to figure out, based on the natural and mechanical resources of his day, as well as both the domestic and international realpolitik of his world, what kind of economic system America would need in order to thrive, is impressive. You may disagree with his assumptions and decisions, but you have to admire his effort. And as marketers, Hamilton’s life is uniquely relevant because he was, with the exception of Franklin, the only one of the founding fathers who actually had real experience selling and marketing. He knew how to sell himself (like I said, you don’t get off that island by luck alone) and his work (you think it was easy to convince Jefferson, Adams, Washington, or the delegates of America’s nascent legislatures to ratify the constitution? Think again.) Watching him work is fascinating to any of us doing essentially the same thing today, albeit on a smaller scale. But lastly, and most importantly, Chernow’s book is important because of the improbability. It is, frankly, refreshing – even up to Hamilton’s tragic and stupid death in New Jersey – to be reminded that everything is not inevitable. That the unusual, the unlikely, the surprising, can happen. Perhaps not as dramatically as it did for Hamilton, but… no, wait, I take that back; for whom am I to say? Perhaps it can happen as dramatically for you as for that orphaned outcast on St. Croix. Hamilton by Ron Chernow was published by The Penguin Press on 4/26/04 – order it from Amazon here or from Barnes & Noble here – or pick it up at your local bookseller (find one here). Having read this book recently, I admire Hamilton because he was very well read and educated, was at the right place at the right time, had rock star looks, married well, had an affair, built an economic structure, had to admit to an affair, lost his son and lost his life to someone he hated. Remarkable man.